When Watch Dogs was delayed last fall shortly before its release date, we were all sad pandas. Back then we didn’t know that Assassin’s Creed IV: Black Flag would be a rollicking good time, so Ubisoft’s modern-day tale about oppressive surveillance seemed like a sure-fire way to kick off the next gen.
Now here we are in the early months of 2014 and we’ve not only got Watch Dogs’ new release date of May 27, but also an explanation from the team behind it as to why they decided to delay the game. In an interview with Polygon, the Watch Dogs developers basically stated that their game needed more polish. While they had the basic underpinnings more or less down, extensive play-testing revealed that the game could get fairly repetitive in its latter half. Couple that with the fact that the games random AI character generator would sometimes cough up missions where there were no AI devices to be hacked and that meant that Ubisoft made the tough decision to pull their game from the launch window to give it so more time to gestate. 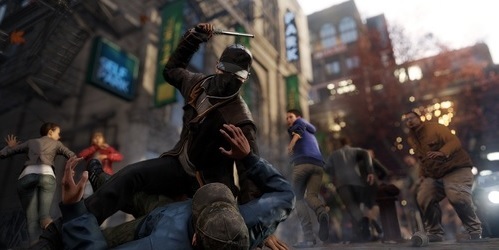 According to the gameplay notes in the interview, Watch Dogs has come out of its brief hibernation better than ever. There’s a segment where a Watch Dogs describes hacking a forklift and causing it to go on the fritz, frustrating the NPCs in the area and causing them to search around for the source of the disruption. Watch Dogs’ dystopian Chicago sounds like its more alive than ever. So, are you excited for Watch Dogs to come back on May 27? What platform will you be playing it on? To add to this already great news, they also revealed that there would be an 8 person free roam online mode in the game. I’m not quite sure how much information they gave on how it works, as I was at work at the time I found out about it, but it sounds very interesting and could be a lot of fun! It seems like every few months I forget about this game, then Ubisoft releases a few screens or a new trailer or a new bit of PR and I remember how excited I am for it.